After winning several awards in 2018 with the Virtual Training Suite, Serious Factory will once again be present at Learning Technologies… But this time not in Paris but London ! 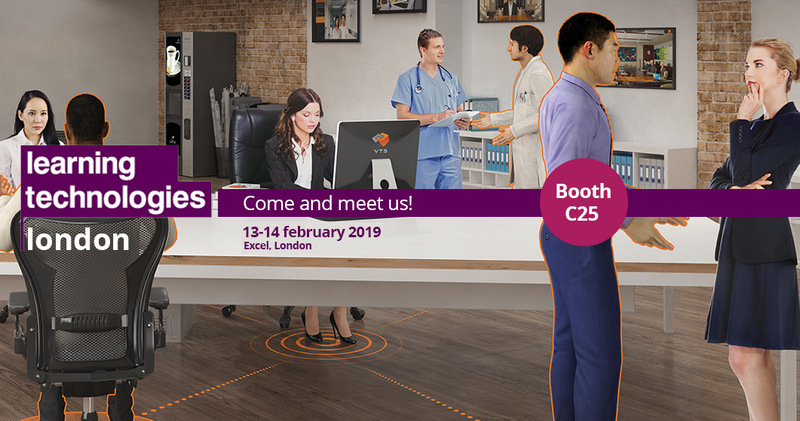 We look forward to seeing you on 13th and 14th of February 2019 in London on our stand C25. In particular, we will present you the features of VTS Editor: 360° sets, new generation of characters, variables, forms… and Virtual Reality! In order to develop their skills even further and make them more efficient, don’t miss this essential event!